Adventures in the Endless Pursuit of Entertainment: Blessed Mother of Maude Adams, NO, Tilda, NO! Blessed Mother of Maude Adams, NO, Tilda, NO! I had to read this Variety article, Swinton feels the love for 'Mame', twice. You can guess what I did. Yes, that's right. I VOMITED IN MY MOUTH. Talk about ghastly. Blessed Mother of Maude Adams, is there nothing sacred anymore? "[Luca]Guadagnino said he and [Tilda] Swinton aspire to remake 'Auntie Mame' as a 'rock-n-roll, super funny, super mainstream movie.'" 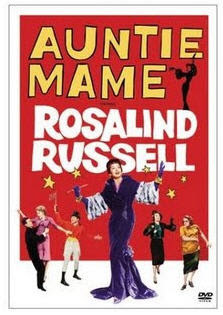 Uh, didn't you notice that Auntie Mame is already a "rock-n-roll, supper funny, super mainstream movie." If you think it's not, then I can't help you. Ever. Well said Sarah. I think we better have the original Mame's shake some sense into Tilda. Agreed, Renee. Bring on the (real) Mames.